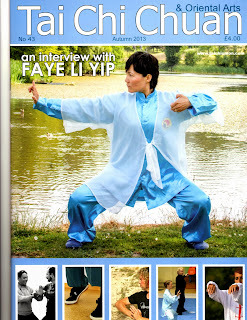 How many years have you been practicing Tai Chi? I was introduced to TCC in the mid-1990s, so about 18 years. I was practicing and competing in external martial arts and initially used TCC as a form of cross training to increase my looseness. After about six months I met Chen Xiaowang for the first time. He gave a short lecture on Chen TCC and then stood up and unleashed a series of fajin that blew my mind. At that point I had spent about 15 years training, first in Karate and then in Shaolin gongfu and kickboxing. I had trained with some very strong teachers, but this was just on a different level. From that moment I have trained only Chen TCC. What does TCC mean to you? 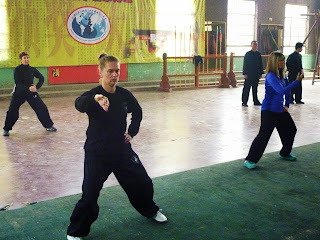 TCC is more than a martial art, it is a complete way of life. At its heart TCC involves the search for balance in both physical and psychological terms. 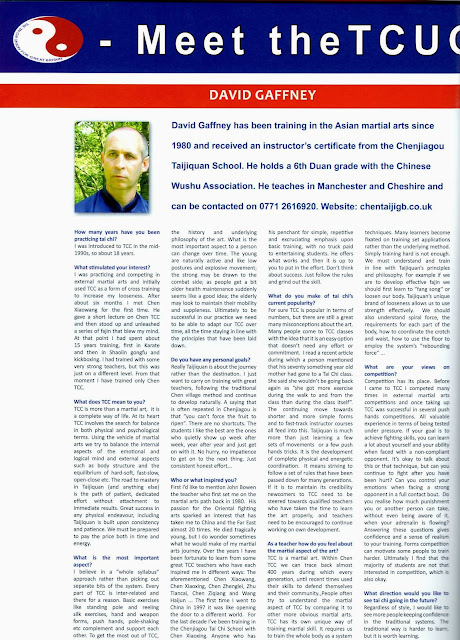 Using the vehicle of martial arts we try to balance the internal aspects of the emotional and logical mind and external aspects such as body structure and the equilibrium of hard-soft, fast-slow, open-close etc. The road to mastery in Taijiquan (and anything else) is the path of patient, dedicated effort without attachment to immediate results. 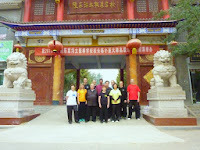 Great success in any physical endeavour, including Taijiquan is built upon consistency and patience. We must be prepared to pay the price both in time and energy. Standing,reeling, silk, form - everything is there for a reason.. I believe in a "whole syllabus" approach, rather than picking out separate bits of the system. Every part of TCC is inter-related and there for a reason. Basic exercises like standing pole and reeling silk exercises, hand and weapon forms, push hands and pole-shaking etc complement and support each other. To get the most out of TCC, practitioners should also appreciate the history and underlying philosophy of the art. What is the most important aspect to a person can change over time. 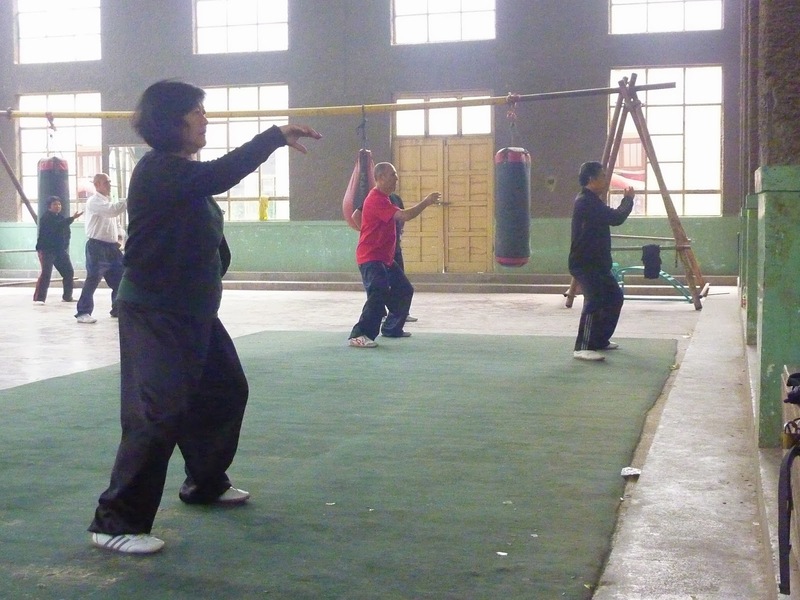 The young are naturally active and like low postures and explosive movement; the strong may be drawn to the combat side; as people get a bit older health maintenance suddenly seems like a good idea; the elderly may look to maintain their mobility and suppleness. Ultimately to be successful in our practice we need to be able to adapt our TCC over time, all the time staying in line with the principles that have been laid down. First I'd like to mention John Bowen the teacher who first set me on the martial arts path back in 1980. His passion for the Oriental fighting arts sparked an interest that has taken me to China and the Far East almost 20 times. 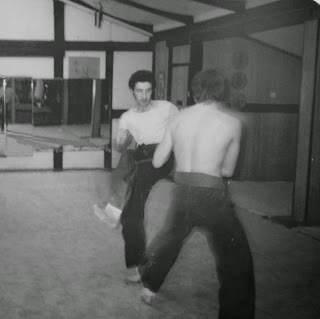 He died tragically young, but I do wonder sometimes what he would make of my martial arts journey. 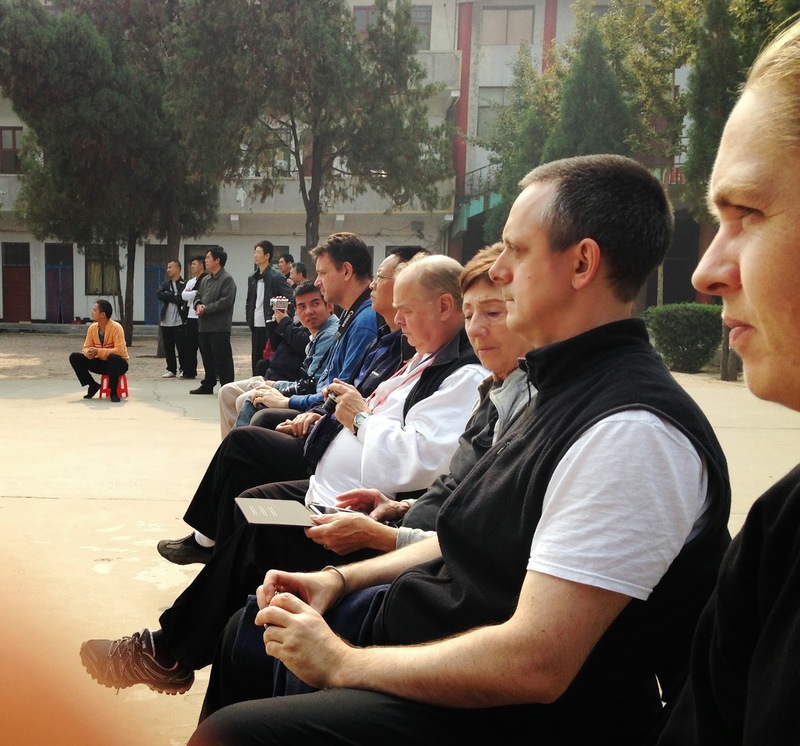 Over the years I have been fortunate to learn from some great TCC teachers who have each inspired me in different ways: The aforementioned Chen Xiaowang, Chen Xiaoxing, Chen Zhenglei, Zhu Tiancai, Chen Ziqiang and Wang Haijun… The first time I went to China in 1997 it was like opening the door to a different world. 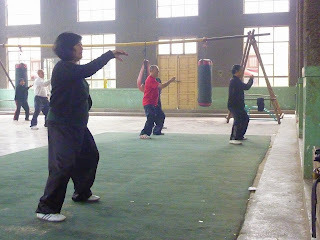 For the last decade I've been training in the Chenjiagou Taiji School with Chen Xiaoxing. Anyone who has trained with him will be aware of his penchant for simple, repetitive and excruciating emphasis upon basic training, with no truck paid to entertaining students. He offers what works and then it is up to you to put in the effort. Don't think about success. Just follow the rules and grind out the skill. What do you make of tai chi's current popularity? For sure TCC is popular in terms of numbers, but there are still a great many misconceptions about the art. Many people come to TCC classes with the idea that is an easy option that doesn't need any self motivation or commitment. I read a recent article during which a person mentioned that his seventy something year old mother had gone to a Tai Chi class. She said she wouldn't be going back again as "she got more exercise during the walk to and from the class than during the class itself". The continuing move towards shorter and more simple forms and to fast-track instructor courses all feed into this. 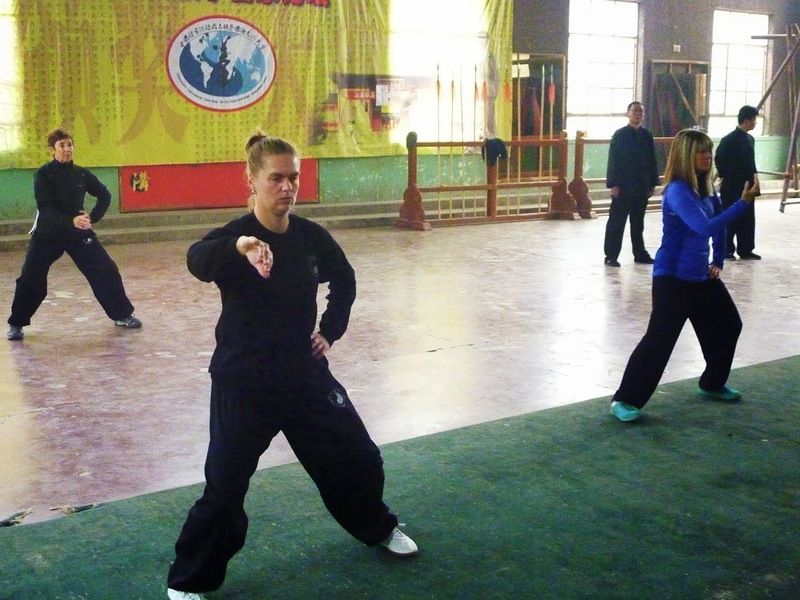 Taijiquan is much more than just learning a few sets of movements or a few push hands tricks. It is the development of complete physical and mental coordination. It means striving to follow a set of rules that have been passed down for many generations. If it is to maintain its credibility newcomers to TCC need to be steered towards qualified teachers who have taken the time to learn the art properly, and teachers need to be encouraged to continue working on their own development. Competition training in the early 80s, when I had more hair! Competition has its place. Before I came to TCC I competed many times in external martial arts competitions and once taking up TCC was successful in several push hands competitions. All valuable experience in terms of being tested under pressure. If your goal is to achieve fighting skills, you can learn a lot about yourself and your ability when faced with a non-compliant opponent. It's okay to talk about this or that technique, but can you continue to fight after you have been hurt? Can you control your emotions when facing a strong opponent in a full contact bout? Do you realise how much punishment you or another person can take, without even being aware of it, when your adrenalin is flowing? Answering these questions gives confidence and a sense of realism to your training. Forms competition can motivate some people to train harder. Ultimately I find that the majority of students are not that interested in competition, which is also okay. Regardless of style, I would like to see more people keeping confidence in the traditional systems. 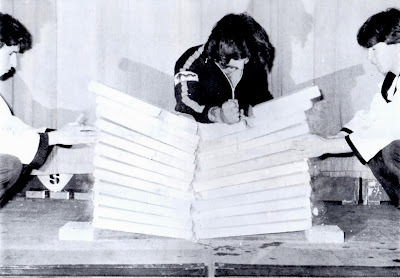 The traditional way is harder to learn, but it is worth learning. 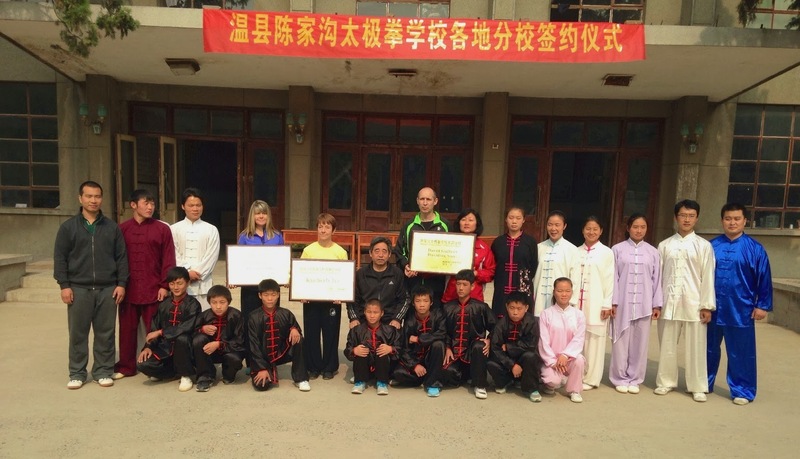 We arrived back from China yesterday after our school's latest intensive training camp with Chen Xiaoxing in the Chenjiagou Taijiquan School. This year's group was 11 strong, made up for the most part of instructors and long term practitioners. As the rapid pace of China's economic development continues unabated, there have been many changes in the village since my first visit in 1997. 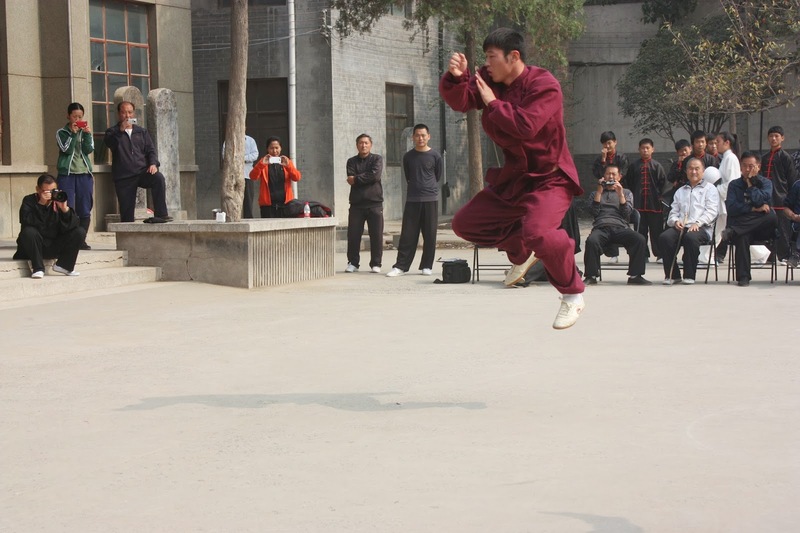 This was the tenth anniversary of our school's annual visit to train in the village school with Chen Xiaoxing, and one of the things that has not changed is his insistence upon traditional village style training. In the village people often use the expression of "training the frame" rather than "training the form". The difference is subtle. The idea of training one's frame points towards great attention to minute details of posture and movement, rather than simply popping out repetitions. This is the way of Chen Xiaoxing. Every day the group trained for 5 hours, broken into a morning and an afternoon session. Each session is the same - half an hour of standing, half an hour repeating one reeling silk exercise and the rest of the session doing a few movements of the form and then repeating them until the session was over. Throughout, Chen Xiaoxing meticulously corrected everyone in the group relative to their level. Once a mistake has been identified, for example a tendency to lean in some particular direction, to stick out your chin, raise your chest etc - then that is what must be painstakingly undone through every movement in the form. Some people find this type of training incredibly frustrating; understanding the correction intellectually, but confusing this with what is required, which is to reflect this understanding physically. One of the sayings often quoted in Chenjiagou is the idea that "you should do the right thing and - not be in a hurry for success". 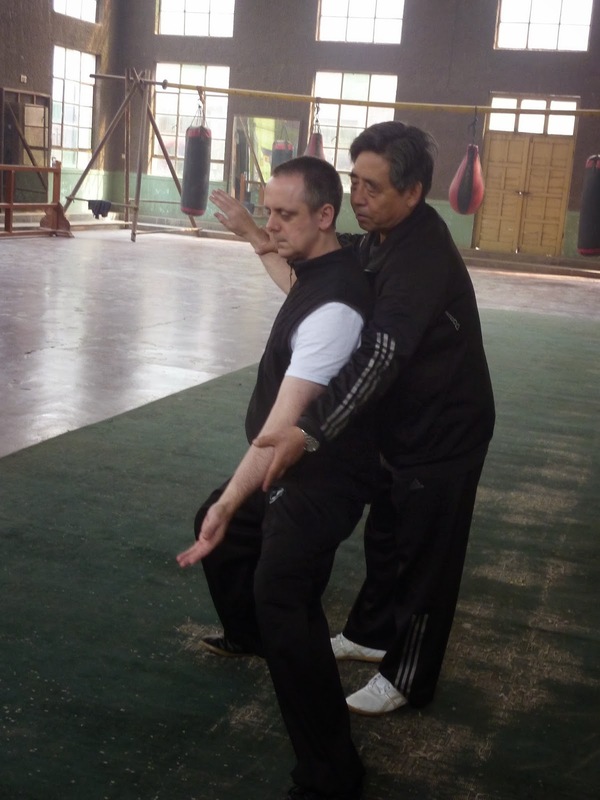 This does not apply only to Taijiquan, but to all traditional martial arts and is very much at odds with modern ideas of "fast track" methods and short cuts. The essence of traditional Chen style Taijiquan is today, as it has always been, rooted in the deep cultivation of all the physical, mental and energetic capacities of an individual. This means following a precise training methodology. Clearly understanding the rules and requirements of the system and then training each mistake that has been identified until it is eradicated. 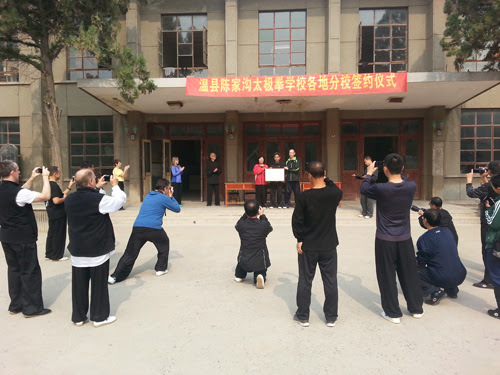 hall to mark the formation of several official international branches of the Chenjiagou Taijiquan School. Chen Hui, senior instructor of the school, in the absence of Chen Ziqiang who was abroad teaching, was the master of ceremonies. In the characteristic style of all official Chinese events he loudly announced what the event was, before introducing a series of demonstrations from instructors and students of the school. First up were four students ranging in age from early childhood to about late sixties showing Taijiquan as a discipline for all ages. 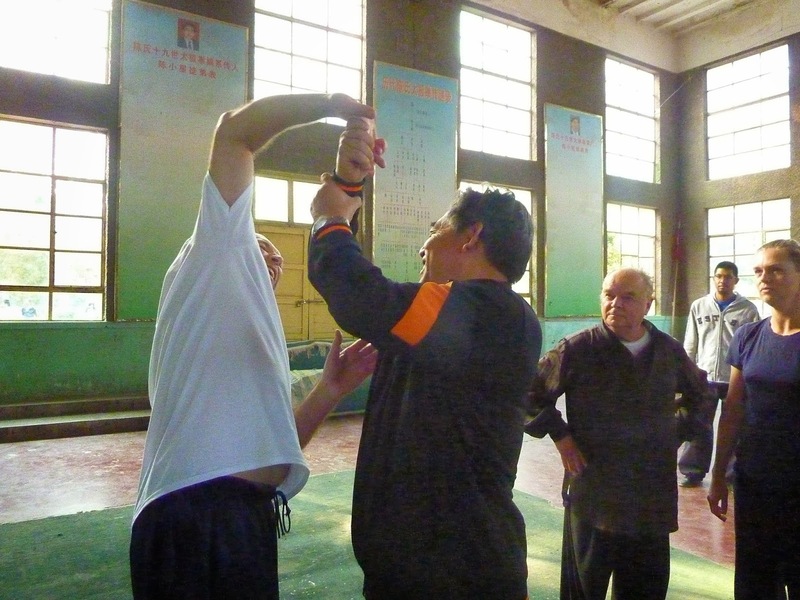 This was followed by demonstrations of the hand and weapons forms of the system and then a demo of traditional push hands by two of the school's instructors. 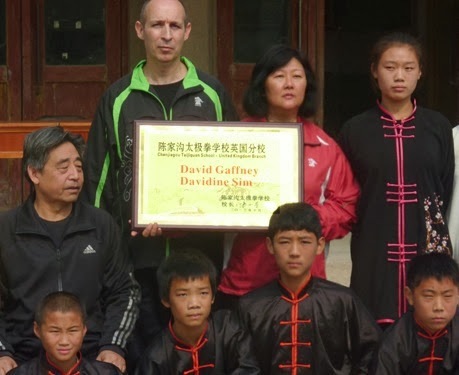 "On the 22nd October 2013, 19th Generation inheritor Grandmaster Chen Xiaoxing represented the Chenjiagou Taijiquan School in holding a ceremony and the presentation of plaques to England's David Gaffney and Davidine Sim, Seattle's Kim Ivy and San Diego's Allison Helm. This follows the establishment Italy's branch. The school has now established branches in England and America. 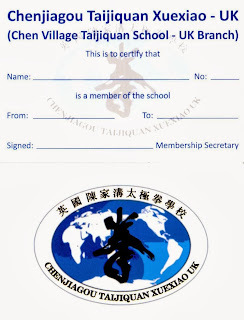 With the establishment of the branches we aim for more standardisation of Chen Taijiquan and stricter management in order to promote and propagate the pure essence of traditional Chen style Taijiquan". 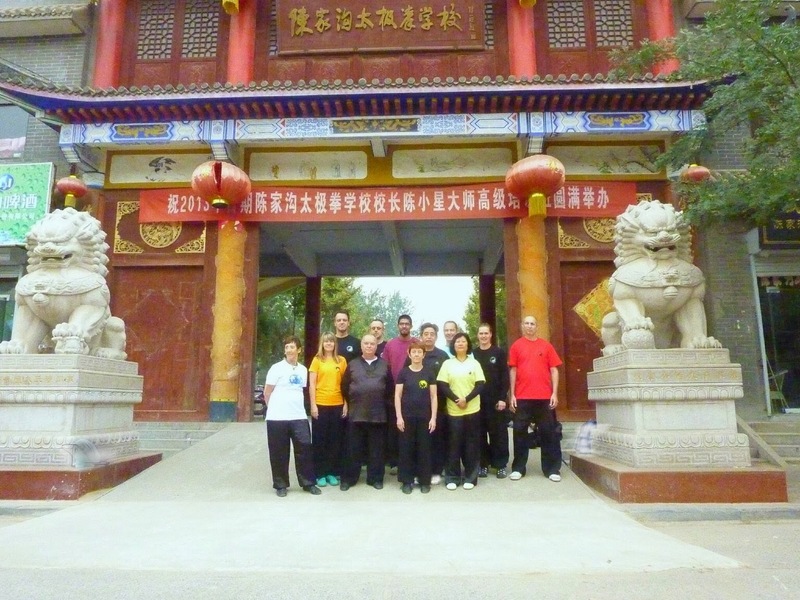 Bi-monthly e-newsletter with news from the Chenjiagou Taijiquan School in China, training advice etc. The cost of membership is £35 per year. 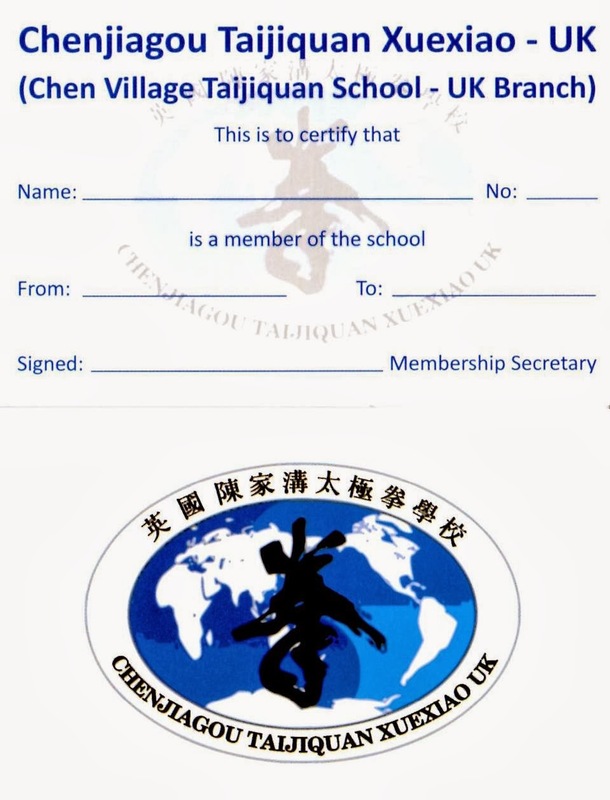 Cheques payable to "Chenjiagou Taijiquan GB"